We stand for Green Building! 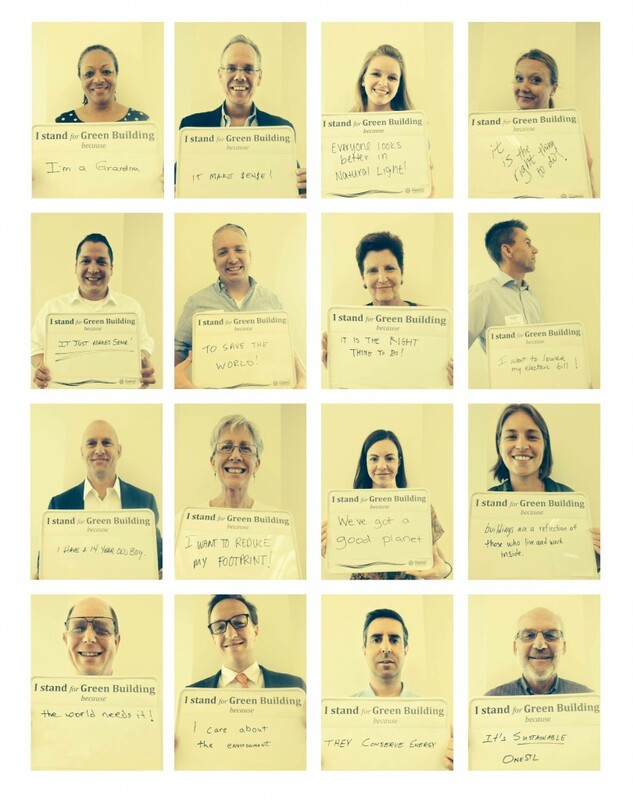 USGBC-Missouri Gateway Chapter members believe in sustainability and stand for green building. Check out their photos, taken by our Marketing Committee at our August Program, on our Facebook page. Do you stand with them? Like or comment to let us know! Donating to support our work! The USGBC-Missouri Gateway Chapter’s biannual member survey guides our work, informing the projects, educational programs, and events we provide for our members to engage with our mission. Many of the survey respondents are part of the design and construction industry, but our members are also educators, concerned citizens, government employees, lawyers, consultants, and building owners and operators. And while the majority of them live in the St. Louis metro area, our members reside throughout Missouri and Southern Illinois. Out of the long list of Chapter membership benefits, members rated earning continuing education hours at events, being part of an organization that values the environment, learning what’s new in green building, and connecting with other members as the most valuable. And numerous respondents indicated their interest in joining Chapter committees or getting involved with one of the Chapter’s Community Projects. Many thanks to all of the members who took the time to complete our survey! Beyond the responses summarized above, responding members provided valuable feedback on our membership benefits, educational programming, and community work. If you missed the survey, we still welcome your feedback- please be in touch, especially those of you interested in getting involved in the Chapter’s committees or community projects! For non-members, what are you waiting for? Take a look at our membership levels and benefits and join us as we work to transform the built environment! The three were nominated by Caryl Kinsey Fox, Chair of the Technical Committee, for their tireless efforts to support the Technical Committee’s work to champion green building research and develop in-depth educational opportunities. Ryan Walsh and Tim Michels worked together to produce an informative and in depth Tech Talk on Retro Commissioning: Investment vs. Reward. This panel discussion focused on the challenges and opportunities facing Retro Commissioning, and provided the impetus for the production of many additional technical resources. Thanks to Kevin, Ryan and Tim for your leadership and hard work!